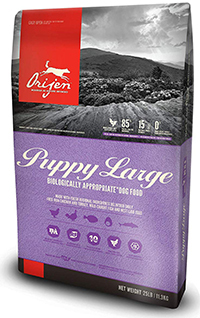 In the dog food world, Orijen is a brand whose name is synonymous with quality. Since their first product over three decades ago, the company has won numerous awards for the quality of their dog food. Today, Orijen has a line of products that include dry kibble, freeze-dried food, and treats, all of which is loves by dogs around the world. If you have ever seen Orijen products on your search for the right food for your dog, you may have also noticed that they also come with a higher price tag. Orijen is considered to be a premium brand. However, the company's success and excellence go beyond their name and status. They also have the quality ingredients to back it up. Here is a list of some of their most popular formulas and some more information about what makes the brand so great. Orijen's Original formula is the one that started it all. Approximately 38 percent of the formula is protein. The protein comes from great sources like deboned chicken, deboned turkey, Atlantic flounder, and whole mackerel. About 85 percent of the dog food is all meat-based products. The remaining 15 percent is dedicated to wholesome fruits and vegetables. In this particular recipe, you'll find a collection of legumes. There's red lentils, green lentils, pinto beans, chickpeas, and much more. To give your dog all the vitamins and nutrients they need, this dry dog food also has a great selection of animals organs. These include chicken hearts and livers. 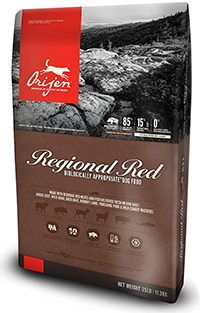 If you want to provide your dog with a diet of rich protein, the Regional Red formula is a great option. It has about 38 protein. The unique thing about this recipe is that the protein comes from a wide range of different sources. It has Angus beef, wild boar, Boer goat, Romney lamb, and a selection of fish sources. This complex collection of proteins give your dog all the amino acids they need to grow and maintain their muscles. The recipe is made of about 22 percent carbohydrates as well. This percentage comes from fruits and vegetables like alfalfa, pumpkin, squash, and more. As the name implies, this formula is chock-full of fish. Every bag is made up of about 85 percent fish. As always, the fish is wild-caught and flash frozen for ultimate freshness. There are no unnecessary chemical preservatives to worry about. Some of the fish protein sources in this recipe include mackerel, herring, monkfish, flounder, silver hake, and red fish. Orijens includes various organs of the fish into the formula as well. 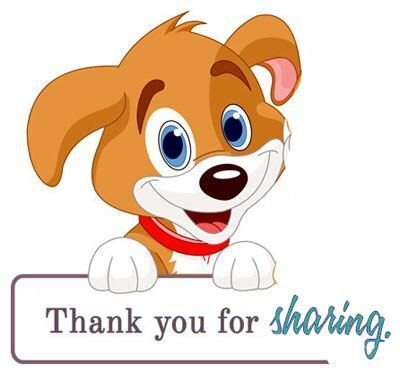 This is to provide your dog with as many naturally sourced ingredients as possible. The only supplements added to the recipe are zinc and copper. With this formula from Orijen, you can start your puppy off right and set them up for a life of good health. 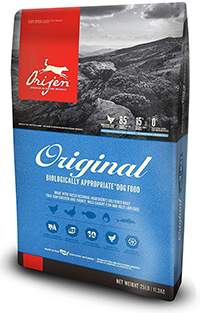 Like many of Orijen's other recipes, this dry dog food is made up of an impressive 38 percent protein. Whole ingredients like deboned chicken, Atlantic flounder, and eggs are used as the primary protein sources. There are no rendered meals in this formula. Instead, the meat sources are dehydrated at a very high temperature. This process creates highly concentrated protein sources that your young pup will love. Large puppies have some unique dietary needs that need to be met. This large puppy formula from Orijen ensures that your young pup has the support and fuel they need to grow up into a happy and healthy dog. It has similar ingredients to the standard puppy formula. You'll find great protein sources like deboned chicken, deboned turkey, mackerel, and more. It also has a high protein content of 38 percent. However, it has less fat in it. With only 16 percent fat, this dry kibble can help your large puppy avoid weight gain and skeletal issues as they grow. 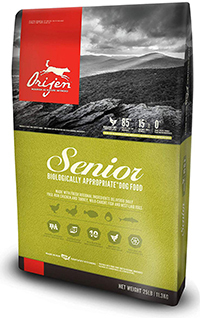 When your dog starts to get a bit older, switching them to this senior formula from Orijen is a great idea. 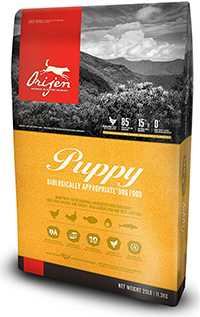 Orijen has formulated this kibble to meet the needs of older dogs while preventing many of the common issues they face. One of those issues is weight gain. This formula has is made up of 38 percent protein, which can support their muscles and prevent atrophy. However, it only has 15 percent fat. The decreased fat helps to offset the fewer calories an older dog burns. Whether you have a dog that needs to lose weight or an athletic dog who burns a lot of calories, the Fit and Trim formula from Orijen can keep them healthy. It's rich in protein and is designed to support lean muscle mass. It includes lean protein sources, such as deboned chicken, chicken liver, and cod liver. These protein sources make up 42 percent of the formula. When it comes to fat, Orijen has trimmed this out to prevent weight gain. The recipe only has 13 percent fat. It also 16 percent carbohydrates and a great blend of soluble fiber for digestive health. The Tundra formula has a lot of unique ingredients you wouldn't normally find in other dog foods. It includes goat, arctic char, mutton pilchard, steelhead trout, and so much more. Like other recipes, about 85 percent of the kibble is made of animal meat. The remaining 15 percent is fruits and vegetables. Only zinc is added as a supplement. When it comes to nutritional content, this formula is made up of approximately 40 percent protein and 18 percent fat. There's also a healthy dose of calcium, phosphorus, and omega fatty acids. To support your dog's joints, there's also glucosamine and chondroitin. 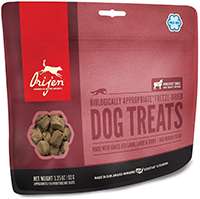 When you want to reward your pup, Orijen has a healthy selection of dog treats available. They offer many different flavors to suit even the pickiest palate. All of their treat formulas are freeze dried. This helps to lock in freshness and nutritional content. One unique thing about their treats is that they're made entirely out of meat. The formulas are very simple. They contain the meat source and a handful of organs. Each piece is made up of about 40 percent protein, 40 percent fat, and one percent fiber. What Makes Orijen Foods So Great? There are good reasons why Orijen has become the go-to brand for dog owners who want to provide their pups with the very best. The company utilizes high-quality ingredients from reputable sources. Furthermore, their products are fine-tuned to meet the nutritional needs of canines in any life stage. * Here are some great benefits that Orijen has to offer. A dog food formula is only as good as its ingredients. Orijen products are made from high-quality ingredients that are sourced from regional farmers in the United States. They have a great network of local farmers in Kentucky. These farmers provide great meat and vegetable products for your dog. While other dog food manufacturers may source their animal meat from large, over-crowded farms, Orijen operates a bit differently. Chicken is a common protein source within their many formulas. Instead of utilizing leftovers from a slaughterhouse, Orijen uses cage-free eggs. They also use nest-laid eggs, farm-raised meats, and wild-caught fish. This fact alone is a key selling point for many dog owners who want to purchase from a company with moral business practices. Another great thing about Orijen is that most of their fresh produce products are not preserved. The company has manufacturing facilities in Kentucky, where most of their ingredients are sourced. This close proximity to farmers ensures that the dry kibble and freeze-dried products are made fresh. You won't have to worry about the byproducts of the preservation process. One common cause for concern among dog owners is Ethoxyquin. Ethoxyquin is a chemical preservative that's used in fish products. It's even found in products that humans eat. There has been some controversy about the effects it has on dogs. 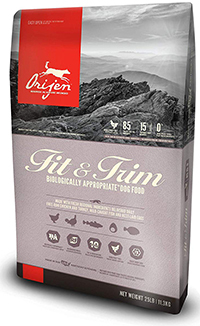 All of the fish ingredients for Orijen dog foods are refrigerated, flash frozen, or preserved with a natural blend of Vitamin E and botanical extracts. The company buys their fish products directly to ensure optimal quality. When it comes to plant-based ingredients, Orijen continues that same commitment to quality. 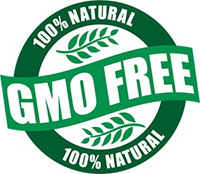 All of their produce is free of potentially harmful GMOs. This is great if you're worried about possible digestive issues your dog may face. The company works to make sure that ingredients help to improve digestive health. One unique way that Orijen accomplishes this is through the use of peas, lentils, and beans. These legumes are used in Orijen dry foods as a binding agent. They help each piece of kibble retain their shape. Not only that, but they're an excellent source of fiber and complex carbohydrates. Cheaper formulas utilize corn or soy, which don't offer much in terms of nutritional content. Orijen uses foods with a low-glycemic index. They absorb into your dog's body slowly. The end result is a more energetic and healthy pup. 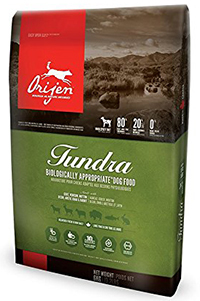 Orijen's goal is to create formulas that replicate the diet of wild canines. Their foods are designed to give dogs everything they need and more. Protein is the most important nutrient your dog needs to stay healthy. It contains muscle-building amino acids that keep their body's strong. Dog food formulas vary dramatically in protein content. Cheap foods contain low percentages that aren't suitable for any pup. 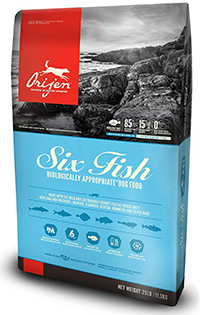 Orijen, on the other hand, includes high protein content in every single formula. Every product in their line consists of 38 - 44 percent protein. This is far beyond the 20 to 25 percent you'll find in other options. In addition to having a high protein content, Orijen foods get that protein from great sources. Up to 90 percent of their dry dog food formulas are made out of wholesome meat. This includes chicken, Angus beef, boar, and so much more. They include what they call WholePrey. In the wild, canines don't separate the meat from the rest of the prey animal's body, so why should it be that way with dry kibble? Orijen's WholePrey includes meat, organs, and cartilage. This provides a complex source of protein. Furthermore, it gives your dog all the nutrients they need. The organs and cartilage provide plenty of calcium, phosphorus, vitamins, minerals, and more. As you can see, Orijen's reputation doesn't come without merit. The manufacturer does a lot to make sure that your dog is getting the best food possible. When you feed your pup one of these formulas, you can rest easy knowing that they're eating something that's designed to keep them healthy for years to come.